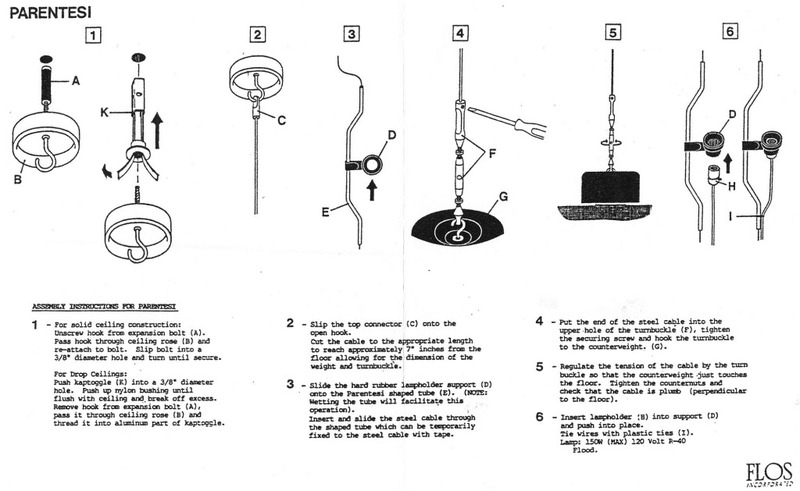 The Ball Clock was designed by George Nelson in the 1950's. 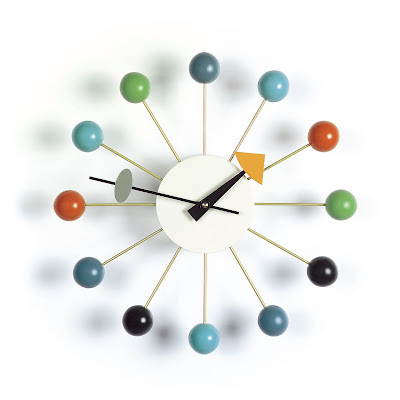 The George Nelson Ball clock is manufactured by Vitra in Europe. It's hard to resist the attractive George Nelson Ball Clock with its instantly recognizable wire rods and multi-colored balls. The George Nelson Ball Clock is the most recognized wall clock in modern day history. 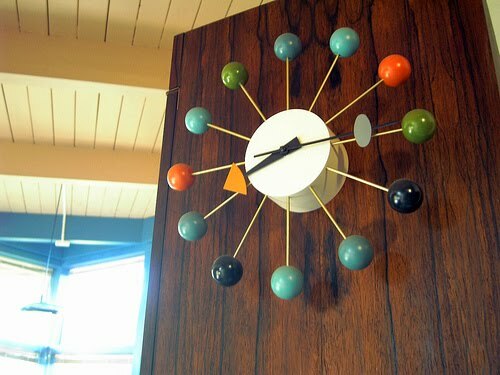 This fabulous fifties styled wall clock was designed more than half a century ago, in 1947. The popular story about the design history of George Nelson's Ball Clock was that it was designed by George Nelson, Irving Harper, Buckminster Fuller and Isamu Noguchi during a night of drinking in 1947. The attractive Nelson Ball Clock is unmistakeably inspired by the space-age atomic period of the late 1940's. It is perfect for your retro-styled modern home decor. This mid century modern wall clock is an icon of modern design. This clock is battery powered with 1 AA battery and has a quartz driven mechanism. The highly decorative George Nelson clock collection is perfect for any interior space including the home or the office. These modern wall clocks have an attractive sculptural shape and they are a refreshing alternative to the usual traditional timekeepers. The George Nelson clock collection is made by Vitra in Europe. Vitra is a manufacturer of contemporary furnishings for the home and the office. The Vitra collection includes some of the most beautiful icons of modern design in all categories including chairs, stools, storage, rugs, lighting, clocks, dining accessories, sofas, tables. Vitra also produces the Vitra Miniatures collection which are scale models of modern chairs. The Vitra collection is produced in Europe. George Nelson is one of the founding fathers of American mid century modernism. His brilliant design can be found in numerous museum collections including the MoMA in New York. George Nelson created a vast design collection of iconic pieces including the ever popular wall clocks. These beautiful George Nelson clocks are available in a wide selection of styles and sizes. These stylish modern wall clocks are perfect for living rooms, home office spaces, family areas, kitchens or the office. The George Nelson clocks will create an attractive and decorative focal point and best of all, they will never go out of style. Stardust is the premier online retailer for the Vitra George Nelson clock collection. We specialize in decorative wall clocks, large wall clocks, mid century modern clocks, design clocks and table clocks for the modern home or office. When writing about the course of his remarkable 50-year career, George Nelson described a series of creative "zaps"--moments of out-of-the-blue inspiration "when the solitary individual finds he is connected with a reality he never dreamed of." The first break was being named an editor of Architectural Forum magazine. Working on a story there in 1942, he was looking at aerial photos of blighted cities when--zap!--he developed the concept of the downtown pedestrian mall, which was unveiled in the Saturday Evening Post. 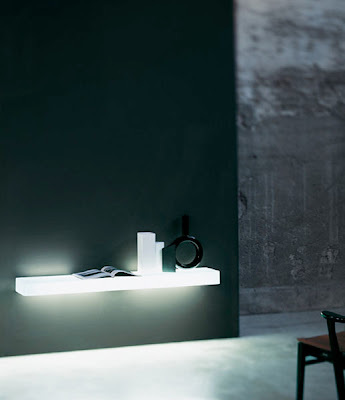 Soon after, another zap led to the Storagewall, the first modular storage system and a forerunner of systems furniture. The Storagewall was showcased in a 1945 Life magazine article, causing a sensation in the furniture industry. Herman Miller founder D.J. DePree saw the article and was so impressed that he paid a visit to Nelson in New York and convinced him to be his director of design, which spurred Nelson to found his design firm, George Nelson & Associates. The warm personal and professional relationship between Nelson and DePree yielded a stunning range of products, from the playful Marshmallow Sofa to the first L-shaped desk, a precursor of today's workstation. Nelson once wrote that Herman Miller "is not playing follow-the-leader." That's one reason why George Nelson & Associates worked with Herman Miller for over 25 years as they shepherded design into the modern era. Nelson said that for a designer to deal creatively with human needs, "he must first make a radical, conscious break with all values he identifies as antihuman." Designers also must constantly be aware of the consequences of their actions on people and society. In fact, he declared that "total design is nothing more or less than a process of relating everything to everything." 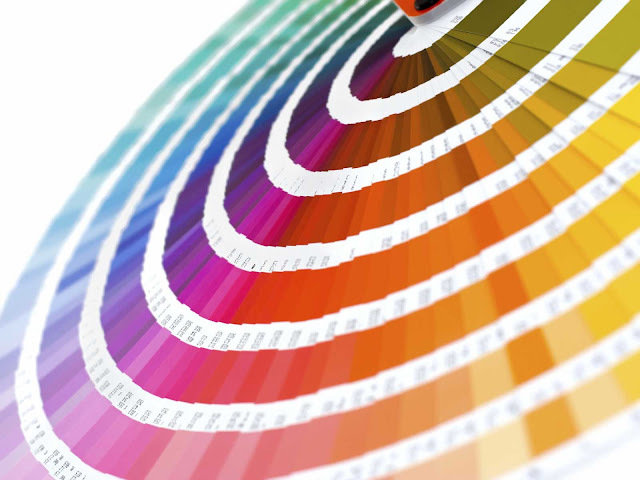 So he said that rather than specializing, designers must cultivate a broad base of knowledge and understanding.